Morning Success with Shalena D.I.V.A. Monday through Friday at 5 AM EST on Youtube, join me for heartfelt praise, worship, and life lessons that will nourish your mind, body, and soul. Each week, we have special guest speakers who uplift, motivate, and inspire us with nuggets of wisdom IN EVERY AREA OF LIFE. You have to experience this phenomenon to understand the beauty of seeking after God early in the morning. Your soul will be blessed and you will launch your mornings! Remember, successful people rise early in the morning and plan their days. This altar is changing lives and getting better and better each week. Thsi week was truly nothing short of phenomenal. I will assemble all of Lisa’ lessons so we can hear them again! She also provided an assignment that I will include as well. God is really having His way on this altar! AMEN! Thank you for sharing your testimony this week! You gave hope to sooo many mothers out there! next week will be great, too! Your glory is in your story, Felicia! The more you tell it, the more you will liberate others!!! Thanks Shalena for calling me out this morning and thank you for allowing God use you for his purpose! And may he continue to bless you and your family! Thank you Shalena and mom for the altar prayer replay. I’ve been so consumed with what’s going on in my life currently that I am drastically neglecting my quiet time with God. Your mom’s prayer this morning confirmed that I am not getting all the help that God has for me. And also it reinforced in my mind that I am beginning to do things on my own, void of God. Thank you again…I continue to be blessed by listening to you on the 5 a.m. altar. Ann Jen I’m glad these calls help you. I just listened to the replay…..such a great way to start or end my day………thank u for those tips to reach out if you need help in certain areas of your life!! Felicia Imdoinme Konan you gotta reach out because we don’t have all of the answers. And that’s totally fine. I really enjoyed Ms. Lisa Nobles today!!! Happy Anniversary to me its been one month today that I’ve been listening to the 5am calls and I thank God for this new journey of strengthening my mind, body and soul prayer the testimonies and the motivational speakers. And again thank you Shaylena and your mother for your faithfulness. Enjoyed this morning as always everyone be blessed! i just reAlized 5 am eastern time i got up yesterday at 5 and no one was on the call lol! Yes, Yolanda Thomas, we get up at the crack of dawn with tons of energy. There’s nothing like waking up early in the morning to seek after God! Hopefully, you’ll catch one of the live calls. Thank you so much for the prayer line much given much is required. I was helped so much! Thanks fir encouraging words! Today’s lesson was soooo on point! ALL things work together for the good of those who love the Lord!!! Shalena question…I am on. B/P MEDS and the front of my hair is thinning out is there a product I can use to thickened it up?? Please help I’m too young to b going balled..sincerely concerned ..
LaVonne, did you join my healthy hair boot camp? Go here https://www.shalenadiva.com/archives/3956 It’s all about healthy hair. Terrance Hayes– click the link. All the information is there for you! Vous aussi vous faites ça à vos potes !? I really need to get on your calls. I failed my nursing board exam and now its 5 months later and I havnt even tried to study for it again. I have lost my motivation to study and I feel like i have given up. But the word consistency caught my attention because I know when you are persistent and consistent you see results in any and all areas of your life. Ashanta Fountain you can do it! Dust yourself off and try again. You got this!!! Kali, was so awesome this morning. She was bold and courageous to share her story. In doing so, she liberated so many other people. Y’all have to listen to this call!!! yes it was! I was Blessed in such a way like never before i knew God was speaking to me everything im going through was touched on. Thank you Jesus! The scripture from this mornings call is Ephesians 2:19-22. I’m so happy for you Yolanda!!! Yolanda Thomas– just listen to the replay and it’s okay. In the beginning, I couldn’t get up on time. My poor mom would be on there by herself…LOL! I used to feel bad, but my body wasn’t used to waking up at that hour. Now, I get up automatically. You’ll get there one day. We missed you! I Missed being on.the call i been telling my co workers about it and most importantly i am really being helped and.becoming stronger. That’s what it’s about Yolanda Thomas– becoming stronger. Hang int here and don’t feel bad! I’m so excited about my life lesson tomorrow! Capree Jackson–it’s every day. My mother said, we pray every day so why not have the altar every day. On Sundays, we simply pray. But I teach on Saturdays! I’m so glad you enjoy it Capree Jackson. It’s truly a special experience that you have to experience for yourself to understand how powerful it is. Your determination inspires me! I tried to download the lesson.from last night what was the three things she said do again im.missing the second one? Did you get on the call??? Nothing worked n this is the same phone I used when I listened earlier this week. It kept telling me it wasn’t in service, or use the other number then when I used the backup number it wouldn’t allow me in!!! 🙁 so I just decided I’ll listen when u post thank u for trying to help I didn’t wanna come back on n interrupt u in the call! Awww… sometimes it gets crazy like that, but I posted the call especially for you! I hope you benefit from it! Good Morning, i am so Grateful for the calls i would love to participate in the testimony portion and when i speak no one hears me. Should i push 6 or something. Please continue to do what God has Blessed you to do! Just speak up. Are you on mute??? The lines are open. I initonally be on mute but i unmute when i try to speak. I enjoyed hearing you speak today as well. I was thinking maybe i.need to just listen. Im learning how to hear from God. I will try again tomorrow from my house phone. OMG! Slept thru prayer! SMH! I was emotionally spent from yesterday! Wow so glad for replay! Felicia Imdoinme Konan–Chanel was on point and Jinea as well! Shadon Estrada-Carl– I totally understand. You know I missed hearing your voice! Tanisha is going to truly bless us in so many areas of our lives. Tinisha thank you for sharing yourself with us this morning, and the rest of this week, may God continue to add his blessings to you and your family! God is so awesome! Tanisha also reminded me of how I refused to be mediocre in life at an early age. I decided to go to a magnet high school instead of the local high school because I knew I was destined for great things. I could so relate to that part of her testimony. Good morning, My soul was so truly fed and blessed today. The prayer was awesome, the tips for the body were very helpful and was truly blessed by Tanesha today as well as yesterday. I am learning little by little everyday that I am perfect in Gods eye just the way I look with all my self taught flaws and imperfections that I see when I look in the mirror. I need to have self love and self acceptance because if God loves me, I need to love myself also. Todays scripture also spoke of having love for one self and for others from Corinthians 13. Awesome Day. Remember to do positive affirmations each day. I am so Blessed!!! Tanisha is truly touching home for me. I was once the girl/young adult that was pretty on the outside but so ugly on the inside. I suffered from low self-esteem and there were times when I wanted to end it all because I felt like nobody understood me. I was called stuck up and spoiled but no one knew the internal struggles I had going on. At 20, when I had my son, I was left with stretch marks and a scar on my stomach that really damaged my self image. I couldn’t even look at myself. I didn’t even want my doctor to see my scars. Even though they are covered, I still struggled with them because I felt like my body was no longer perfect. I’ve come a long way, but at times I feel like I don’t measure up to other women my age who can wear two piece swim suits and look perfect. It’s an internal battle that I deal with every single day. I’m so thankful for Tanisha and her lesson because it is really helping me to see that nobody is perfect but we all have purpose. Amen Deborah Gary and Jinea Nikole. Tanisha is really helping us in so many ways. I love her testimony of how she gave the commencement address and won those scholarships. I was reminded of how easy it is to assume that others are thinking negatively of you if you are not thinking postively about yourself. You will allow unnessary things to tear you down. This was brought to my attention with Tanisha’s story about the man who was looking at her. Thank you Tanisha for sharing! Everyone have a blessed day! Tanisha was awesome yesterday and today….. I have to mediate on so many things she talked about today…. Self Judgment WOW …. Causes us to belittle, criticize and punish ourself I’m SOOO guilty of that. I’m learning to love who I am because this who God intended me to be…. Encouraging myself today And going forward … I thank God for Tanisha and her story& lessons!!!! Amen Latisha! That is why I wanted us to share our thoughts on here because I knew she touched upon an area in everyone’s life. I want those who were not on the call to get a glimpse of what we experienced. Thank you all for sharing! WOW! I miss you, too, Ms. Ann! So glad you appreciated the call and that it spoke to you! Awesome! I really enjoyed Tanisha all week. I was truly helped and your moms prayers all i can say is i even thought she was talking to me today:) God has given me.confirmation. Everything from.stress, lettng go.of.negative thoughts and loving/taking care of self is the journey im on. AMEN!! May God continue to Bless your ministry! I’m so glad you are enjoying these prayers!!! Just hold on and you’ll see your life change right before your eyes!!! I just sent you a inbox message! I tried to but it did not work if you can send me one and then i can.reply. Thanks! This call is on time! From the prayer, to Debbie’s testimony that I truly relate to, and Shaunel’s lesson was awesome. I’m so ready for this fast! I’m so ready to receive everything that is to come. It’s past time for me to truly lift myself up in God as I lift him up! I will be purchasing the book today. I’m truly moved and I’m challenging myself on this end as well for a personal commitment. Awesome Tiffany McClendon-Baxter!!! I’m super excited about this fast. It’s going to be very interesting. The thing is, you already eat this way so you can definitely do this and most importantly, go deeper in God! Shadon’a first call was SO POWERFUL! I missed the prayer this morning. How can I listen to it? Jamia Davidson– ALWAYS click on the link. The replay of the day is at the bottom of the page. Also, the replay information is listed as well. You’ll enjoy today’s call! What is shadona web page? Yolanda Thomas– I don’t think she has one.. I’ll ask her! On her call she said she would put up het lessons maybe she has a facebook? It’s next to my picture. That’s the link. It’s cool Lola Santana. These apps and phones and other devices are nutty indeed! LOL! I can truely say that I have found forgiveness and it has made me feel whole again. I have gone through so many changes in my life at the hands of different men and allowed myself to believe that it was my fault. God allowed me to see that it was okay to let them know what they did and how it affected the way I was living my life. With each and every encounter, I began to feel cleansed and found that forgiveness and I have to say, it made me feel so good I wanted to shout! When that moment comes, there is an overwhelming peace that is better than anything you’ll ever felt in your life. Ty…I really needed to hear that…good timing!!!! OMG Shalena…this call right here. Man, I’ve been in some of those moments. Whew! 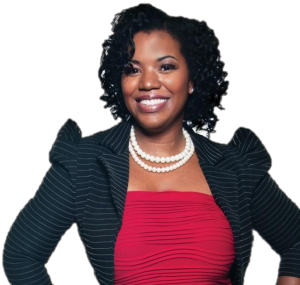 Tiffany McClendon-Baxter– this call is a classic! I would’ve threw that coffee on him and then asked for forgiveness, but then again. I probably would’ve did nothing at all and cried my eyeballs out, too. She was awesome today! I REALLY enjoyed Shadon!!! Desiree Dion White– this is very true! I’m glad it resonated with you! Have a blessed Saturday! I’m not sure how to add the link but I will repost! Here is the direct link https://www.shalenadiva.com/archives/2869 Thanks DuClair! Amen! I’m believing and trusting in him to bring my business into where he wants it to be. I know I can do all things through Christ that strengthens me. I believe in him as he believes in me. That’s right! Keep believing in YOU and the God in YOU Deborah Stokes!!! Anthony Nyabera– so true! You should hear the women’s testimonies of how they overcame! POWERFUL! Shalena! This call hits home forreal forreal! Despite all that’s going on with me and in my mind, I am thankful for being able to push forward and keep fighting. I have be to the point to wanting to throw in the towel, but God won’t let me. “Hanging on by a Thread #Winning!” I know God is able….learning that I have to open these hands of mine! Hey Felicia Imdoinme Konan– yes, I loved the testimonies! I missed you, too!! See ya in the mornin Felicia Imdoinme Konan!! I’m so glad lil man is okay! I landed safely in New York. I look forward to being on the call live tomorrow. Jullien PurposeFinder Gordon– THEY LOVED YOU! My mother was like who was that?!? We just got off the phone and she called to tell me that. LOL! The listeners really enjoyed you! I have 2 from the altar who are coming to t=your workshop. We’re working things out on my end! We’re so excited! Jullien PurposeFinder Gordon– before I forget, Wendy from the UK wants to know when you’re coming to Europe? I loved this lesson. I really liked how he related driving to life. Man some of the things he touched on reminds me of conversations that Jinea Nikole. IKR!!! Tiffany McClendon-Baxter I loved the lesson. I had to follow him on twitter to tell him how awesome it was. I can’t wait until tomorrow. I wish I could go to NY. If you are ever in Atl, I am there. haha…yea he was on point! These lessons are more and more eye opening. I’m over here like yep yep that’s me. lol I have my own little amen corner. Me too! This was such an awesome call. We have to actively look for the good in life and more good will come to us! Today’s call was so easy to understand and easy to implement! Be sure to get the homework at http://www.julliengordon.com. He has awesome resources! OMG! So Jullien Gordon I want to truly thank you for this lesson today. Jinea Nikole can attest to the fact that I don’t deal with death well. In the last 4 years I’ve had several close relatives die back to back. My Grammy “grandmother” used to talk about her death all the time (ie what outfit she wants, what to do with the clothes afters, ect) and I’d cringe at the thought. In the recent years, I’ve become more receptive to the talks. I really like the idea of writing my own eulogy…this will allow me to face my fear of death. I know it’s something that we will all face so I think this will be a great place for me to start. This was another winner in my book. So sad that you’re done. Yes, Tiffany McClendon-Baxter, I’ll miss having him teach as well. We’ll have to have him back someday. I really enjoyed Leah’s call this morning! Leah Evans was on point with her tips. I was really inspired and enjoyed all the testimonies, it was thoroughly appreciated, especially your mother’s powerful and Spirited prayer. I too could relate to so many of the testimonies and is challenged to defeat my own fears…#First time caller…. Good Morning Shalena. Thank you so much for todays lesson. I just listned to the replay ( I missed the call this moring, was at the emergency room all night with my son but he is okay). Anyway it really hit home for me. I had lost my mind in 2002 and the lesson this morning is helping me understand so much about that storm. I remember one of health professional telling me I was either going to hate God or Love, and after today I realized that the reason cling to him so much is because he was all I had. Where my mind was no body could reach me except him and He held on to me and wouldn’t let me go and he kept me and I realize today that I love him so much becuase He was all I had during that storm. I am looking forward to tomorrow and the rest of the week. Thanks so much. And I am preparing the material you asked me to send him. Thank you for sharing this with me B Hudson Hudson!!! I’m glad my story was able to help you. I’m so glad you held onto God. I can’t wait to hear your story. Be blessed! “See ya” tomorrow! Jason Patrick, PLEASE listen to the call. It will help you. It’s okay to feel what you’re feeling. Allow God to help you help yourself through this. Promise me you’ll listen to the call. Be blessed! All of the above! Its not good! Linda Mattina, you gotta listen to the prayer. I share my personal testimony of how I lost my nephew to violence last year. Tomorrow, I will post all of the prayers so you can benefit from each day, ok? You’re going to get through this and live to tell about it! That’s great! Hopefully, you can make it one day live and speak up! Thanks for letting me know that you tune in! WOW!!! Today’s call was so encouraging! Ask and you shall receive. The call this morning hit home in so many ways, in fact all last week, all I can say is but God! To all be blessed!!! I’m so glad it touched you Cynthia Vinson. I really enjoyed today’s call, too! hey shalendiva i posted you a message the other day about are you still using hairfinity? if so hows the progess coming along? John Gee, I don’t use it anymore. I didn’t see your message either. I highly recommend it IF people are eating right. If not, you’d waste your money because those nutrients will go to other body organs before it goes to your hair follicles. did you see any hair growth? John Gee, yes I did. I like Hairfinity. I’ll see if I can find some pics during the time I was taking them. I’m ready to Rock and Roll. I am coming as I am, just as your mother prayed! God will bless your efforts no matter who believes in you or what you’re doing… I RECEIVE THAT! I will soldier on!!!! Rhonda Bellamy Hodge, you did an excellent job!!!!! Today was so helpful, thank you Rhonda. Things arent always what they seem. That was for me. Thank you guys. Have a blessed day. Thank you for speaking up and sharing LaVeta. I’m glad you have hope now. I was moved by your testimony. LaVeta, I experienced a bit of Land Envy when you talked about your lots. What a blessing. Access the situation, start small and God will bless your efforts. Have a Marvelous Day! Was blessed by the prayer as always and all the info received on the alter this mornining, Ronda being from the county you brought back a lot of memories. Don’t think I can say it enough, thank you all for sharing your gifts, you all are truly God sent. Today’s Life is a Garden Lesson was on Preparation. The key word is HOPE. The scripture reference is Jeremiah 29/11. I HOPE you enjoyed the call and was blessed by it in some way. Have a Marvelous Day! I am really enjoying sharing my passion of gardening with you all. The gardening activity was Plant with the keyword of FAITH. The Scripture references are Matthew 17/20 and Hebrew 11/1. See you on the call. Stop being so hard on yourself. You may not have been mature enough to reap the blessings 5 or 10 years ago. BUt you’re ready NOW. YOu can start today. Take baby steps if you must, BUT KEEP IT MOVING! It was a pleasure to share and bear witness to Living Life Marvelously through my gardening adventures. Thank you for the opportunity. May God continue to bless your efforts. Bless you everyone! It was such a blessing to be able to break the bread of God’s word with you this morning. One of our callers wanted the reference scriptures for a few accounts where individuals have operated on the basis of their own timing and desire and as a result have failed. Please see the following for two such instances: Abraham and Sarah/Hagar and Ishmael (Genesis 15-17); The King who defied God for the sake of land (1 Kings 22). When it comes to the delicate issue of timing, it is best that we use Proverbs 3:5-6. We’ll talk some more about synchronizing our steps with God’s timing tomorrow. May God’s infinite wisdom direct your steps today! Thanks for sharing Kerri-Ann Haye-Donawa!!!! You ROCK!!! I can’t wait for the rest of Aprille’s life lessons. She’s the bomb.com! I have to give you the link. I plan to create a webpage for you on my site with al lof your calls and links so others can listen and download. But I’ll get that link for you today, ok? Shalena I truly enjoyed today’s prayer altar! I’m so glad you did Rochelle R Poe!!! Remember whatever you say you are will come looking for you. I want good things to find you!!! Good morning Princess Shalena Diva. Just wanted to say that this mornings Prayer Altar was truly amazing. Thank you to all of the awesome women that shared!! Her comment about how your “Network of people” determines your “Net Worth” absolutely WOW-ed me…#Great Lesson this morning. Her lessons get better and better each morning! And God bless you for introducing and incorporating the “I AM” session..#WondersforourselfEsteem-Affirmations..
Hey, shalena I have saging that for a minute now, not only healthy living, but all these “TATOOS” that people have. Your body is not your personal blank canvas. I really just think its a shame that people are marking up there bodies the way they are, I think it the new sign of the beast! That’s just my thought. Hi Shalena, Mamma Diva, Lisa & everyone. I missed the call this morning but i just finished listening to the playback. What an awesome call! I am truly thankful to the daily calls. Everyone has contributed to uplifting me and pushing me along in my path. Please tell mamma Diva thanks for her prayers. My granddaughter is doing well and we thank God for her. Be blessed and see you tomorrow on the call. B Hudson Hudson are you ready for next? Good morning. I needed this word, thank you! Tiffany Mayfield I’m glad this resonated with you! We have to catch up, ok? Valerie Butters Lee we all need to be reminded of this every now and then!!! Inspiration and encouragement on every call. Just listened to the replay…such an amazing call! Kristy Nicole taht was BEAUTIFUL!!! Just listened to the replay! I needed that. can’t wait until tomorrow morning! I will be there tomorrow morning!! Thank you for the reminder! i loved her energy & thankfulness. why does teleconference pause too much or was it my phone? thanks. have a blessed day! Lynda Pedro I haven’t heard the pause– which part are you referring to? I can look into it!!!! EXCELLENT call this morning. All of the calls are fortifying but today’s call met me at the altar!! I thank God for you, shalena diva!!!! Aww… thanks LaVeta!!!! I’m so glad you were blessed this morning! Good for you!!!! Hey I have been trying to get in, but the numbers I have does not work, not being funny ….o would like to get mu praise on too…..I’m in Houston would someone like to be my prayer partner?????? Cause I have been praying alone its nothing wrong with it …..I believe two or more in prayer is awesome God would be please with his children coming together!! Stephanie Stephaine Coleman have you tried the back up number? Click on the link and jot down all the dial in numbers. I have to use the 805 back up number to dial in every day,then dial the other numbers. Try one more time. The next few days will be awesome!!!! Awww… thank you Ms Yolanda SweetasPumpkinpie Gayden!!! You are FABULOUS, too!! !